Thanks to consistent spring snowfall, Colorado resorts Copper Mountain, Aspen Highlands, Vail and Breckenridge will extend their seasons. 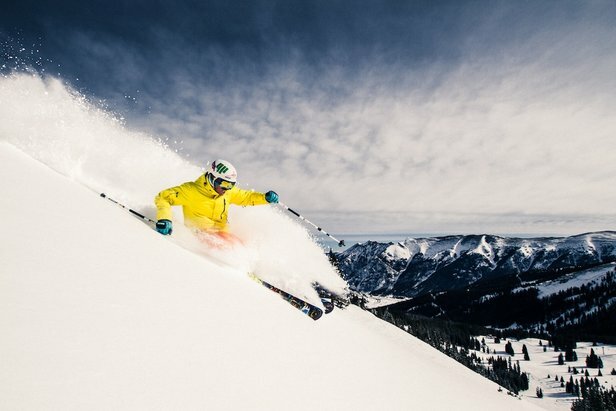 Aspen Skiing Company announced that it will extend the season at Aspen Highlands from April 21 to April 28. The abundance of new snowfall brought spring powder skiing conditions and offers one last chance at some great turns in Aspen this season. Aspen/Snowmass has received a whopping 32 inches of new snow since April 9, including a 17 inch total for the past 48 hours. “We are skiers and snowboarders and it is snowing like crazy, so of course we will reopen,” said David Perry, Senior Vice President, Aspen Skiing Company. "This is a big thank you to everyone. Let's finish the season with smiles on our faces." All of Aspen Highlands will be open, allowing skiers and snowboarders access to the 12,392-foot summit of Highland Bowl. Lifts will run starting at 9 a.m., with Exhibition closing at 4 p.m. and Loge, Cloud Nine and Deep Temerity running until 3:30 p.m. Guest can also still enjoy the Merry-Go-Round restaurant and Cloud Nine Alpine Bistro for dining and Four-Mountain Sports for deals on gears, rentals and more. This isn't just good news for Aspen/Snowmass passholders, but anyone with a valid Colorado resort season pass. Season passholders from any other resort in Colorado can obtain $39 lift tickets by presenting a valid season pass at the ticket window, passes must be picture passes. Through April 28, regularly priced lift tickets are $62 for adults, $57 for youth/senior and $42 for children. The ski season is far from over, for more details from Aspen/Snowmass click here. Breckenridge and Vail, both owned by Vail Resorts, announced on Wednesday (4/16) that they will extend the season one last weekend (Apr. 19-21) thanks to the large amount of snow accumulation that occurred last weekend into this week. Breckenridge has received 16 inches since closing day and Vail has been hit with 24 inches since closing. Additional snow is in the forecast for most of Colorado. Copper Mountain, also located in Summit County, is extending their season one more weekend (4/19-4/21) as well. All Copper Season Passes as well as Rocky Mountain Super Pass + are valid. For those lacking a Copper season pass, lift tickets are just $40. Copper is still working out what terrain will be open, but if Mother Nature keeps it up, it could be a lot.